I absolutely adore these Style & Co. 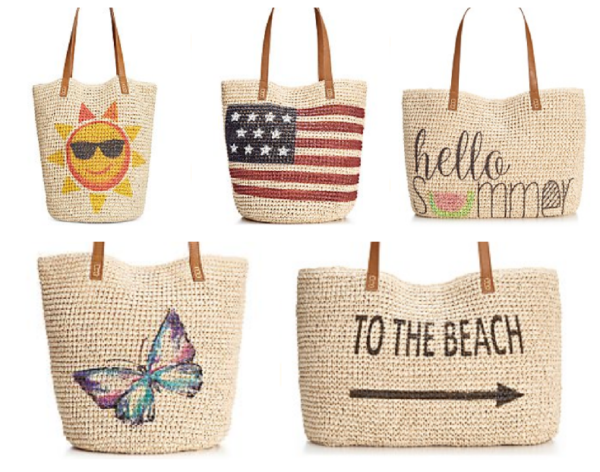 Straw Beach Bags! Right now you can get one for $19.99 (Retail $62.50!) with promo code MEMDAY at Macys.com. Shipping adds $9.95 or is free when you spend $50. Choose from 5 designs while supplies last. They are made of straw and feature double handles, a magnetic snap closure, 1 interior zip pocket & 2 slip interior pockets. These bags can only be found at Macy's. Sales tax is charged in most states.